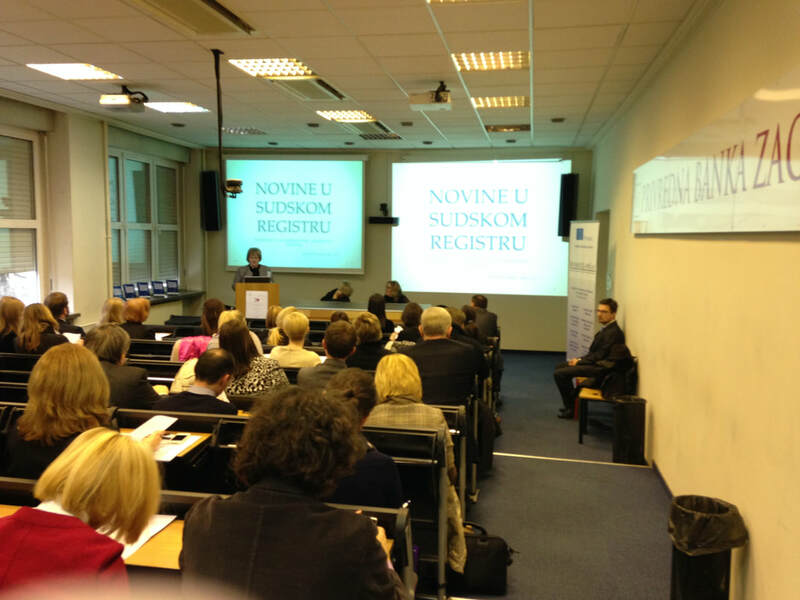 On 29th January 2015 Department of Law, Faculty of Economics and Business, University of Zagreb organised Round Table „20 Years of Application of the Companies Act in Interdisciplinary Context“ . Introductory speech was given by Professor Nataša Erjavec, Vice-Dean for Science and Post-diploma Studies. Vice-dean stressed importance of interdisciplinarity of high-education as well as importance of the Companies Act for preparation of future economists for labour market. Host of the event, Professor Hana Horak stressed recent novelties in Croatian Company Law in context of harmonisation with European Company Law. 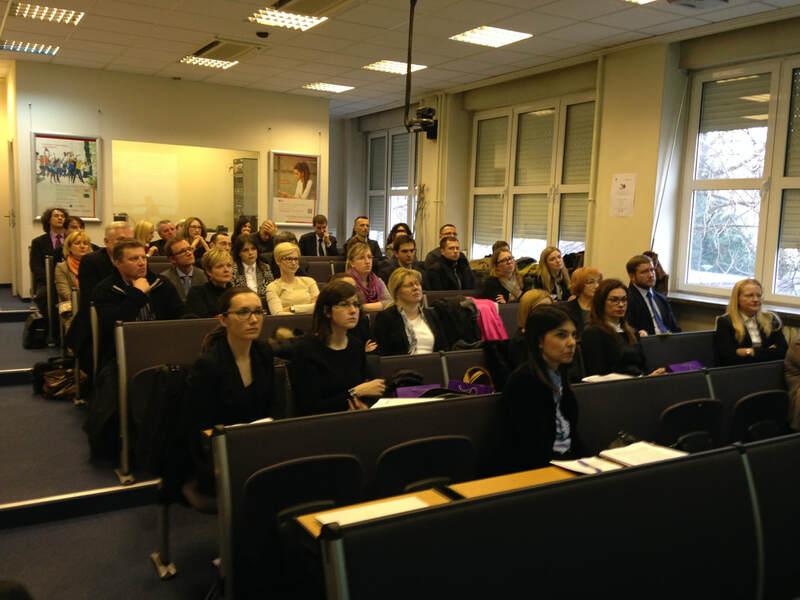 This event gathered more than 40 participants: judges of commercial courts, attorneys-at-law and corporate lawyers. The participants discussed contemporary issues of application of the Companies Act as regards audit processes, corporate governance, cross-border restructuring, supranational company forms, execution of shareholders' rights as well as the role of sole traders and simple private limited liability companies in modern Croatian Company Law. In order to ensure sustainability within WP. 8. team of Faculty of Economics & Business, University of Zagreb has started with activities concerning dissemination of project results for wider public. The promotion of European Market Law Handbook vol.1. by authors: Hana Horak, Kosjenka Dumančić, Kristijan Poljanec and Dominik Vuletić took place in Tempus centre Zagreb on 27th of November 2014. for students and exchange students from European countries. 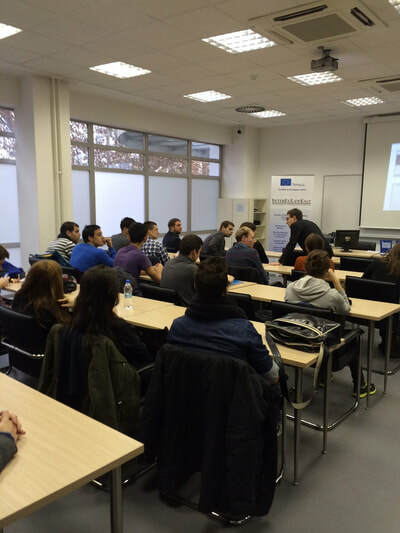 Lecture and presentation was given for students of European Market Law and European Company Law. Among others diplomatic representatives of project’s partner countries, Russia and Ukraine were invited. The handbook is a joint publication of Voronezh State University, Faculty of Law and University of Zagreb, Faculty of Economics and Business. It is divided into two parts. The first part makes a great learning and training source for the database research on the EU Law while the second part gives a concise overview of the most relevant cases of the Court of Justice of the European Union in the field of European Market Law with authors comments. The online edition of the handbook is hosted by the Library of Faculty of Economics and Business, Zagreb and is freely accessable trough the web pages of the Tempus centres in Zagreb, Odessa and Voronezh as well as from the publications section of INTEREULAWEAST project webpage. Click here to access the Handbook. Zagreb tempus center will be the host of the Advanced Summer Course in European Internal Market Law which will take place from 23 to 28 June 2014. The aim of the Course is to provide in-depth training on modern issues of European integration and European Internal Market Law for Partner Countries staff, young researchers, assistants and lecturers employed at Partner Countries institutions. Please find the Programme of Advanced Summer Course in European Internal Market Law bellow. For more information on Advanced Summer Course click here. Aim of the “Zagreb Meeting with Master Students” is to ensure visibility of the TEMPUS InterEULawEast project and to disseminate information of the project possibilities to master and doctoral students from all co-beneficiaries. 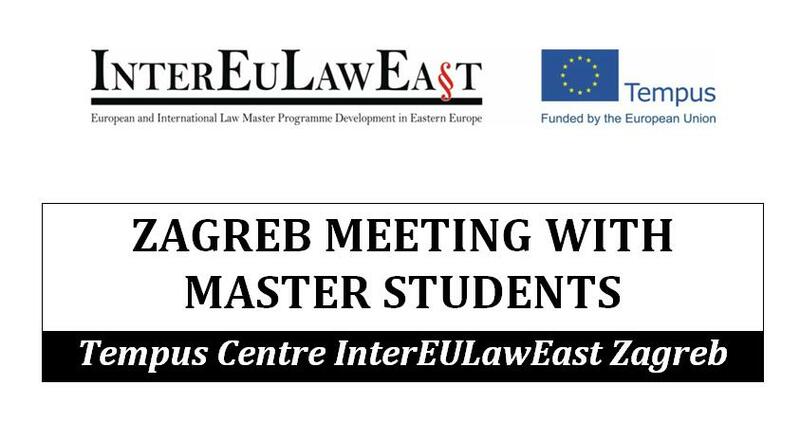 The “Zagreb Meeting with Master Students” is organized as an introduction to the activities regarding Maribor Conference, together with an opening of the Zagreb Tempus Center InterEULawEast. Tempus Center InterEULawEast is envisaged as a place for dissemination of knowledge and experiences on European Integration, European Law and International Law. Events that will take place in TEMPUS Center will ensure future sustainability of the project at Faculty of Economics and Business. EUROPEAN SOCIAL MODEL AND EU ENLARGEMENT: FRIEND OR FOE?